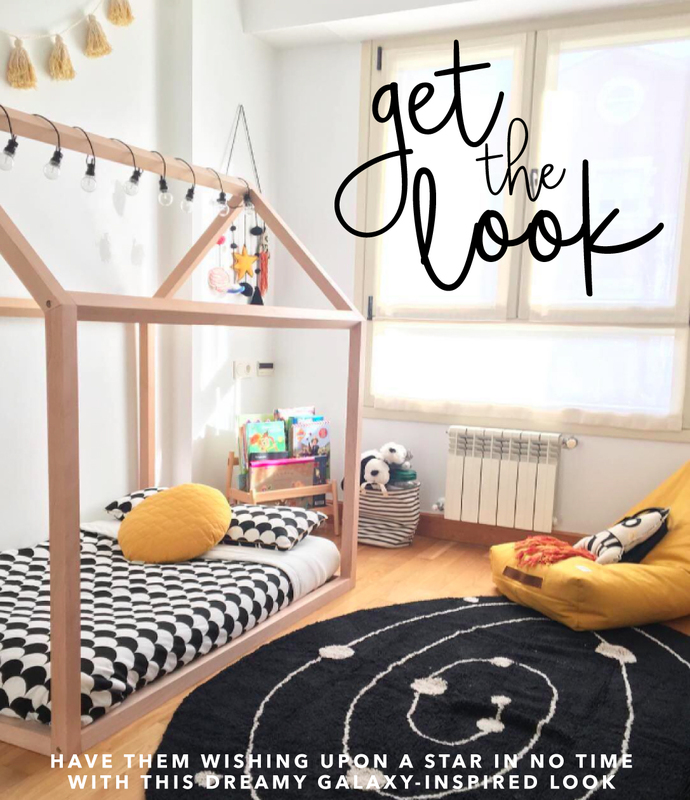 With the celestial trend still going strong, now’s the perfect time to get this fun and funky galaxy-inspired look in your little one’s room with these gorgeous, space-themed decor items! 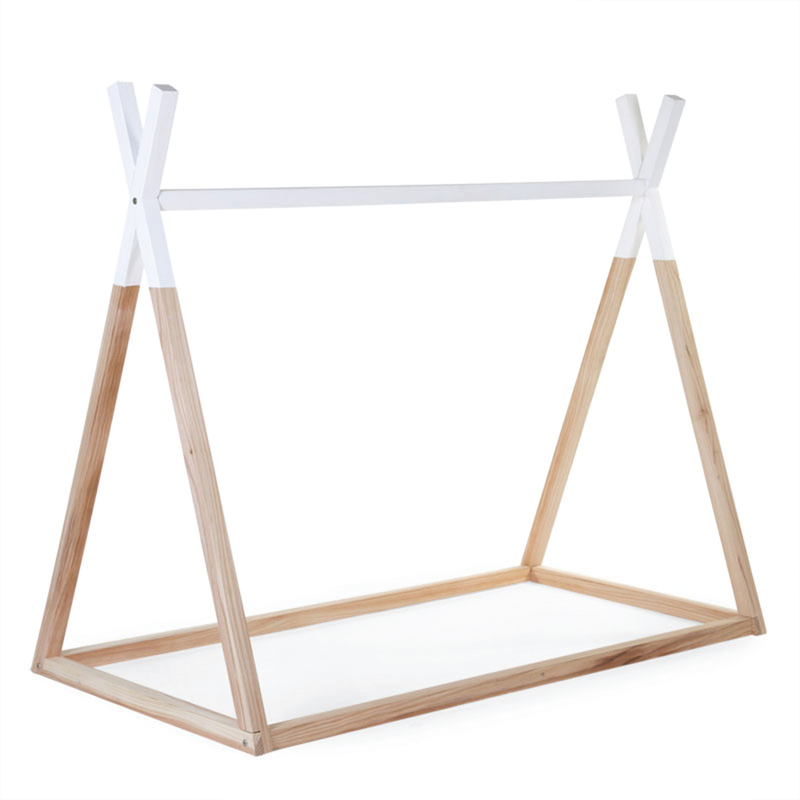 Teepee beds are all the rage at the moment – they’re a fun an easy way to make your little ones transition from cot to bed much easier. Start your galaxy-themed look off with our super cute Teepee Bed. Create a major statement with our new Milky Way Rug by Lorena Canals. 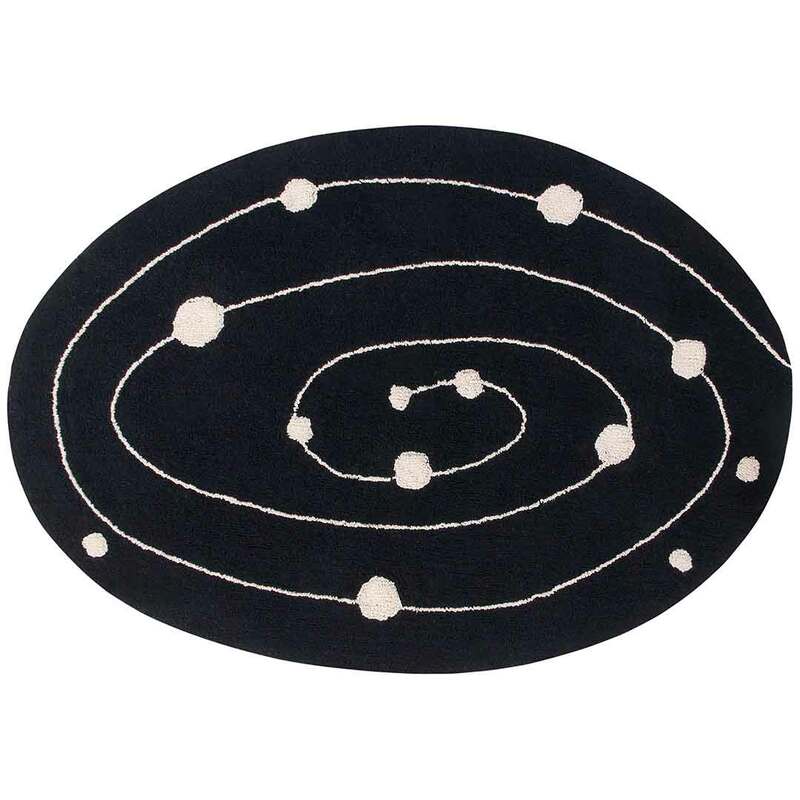 Your little one can spend hours travelling through outer space on this soft, 100% cotton rug and no need to worry about spills – this rug is also machine washable! Opt for a plain and simple yet stylish and silky soft bedding set. 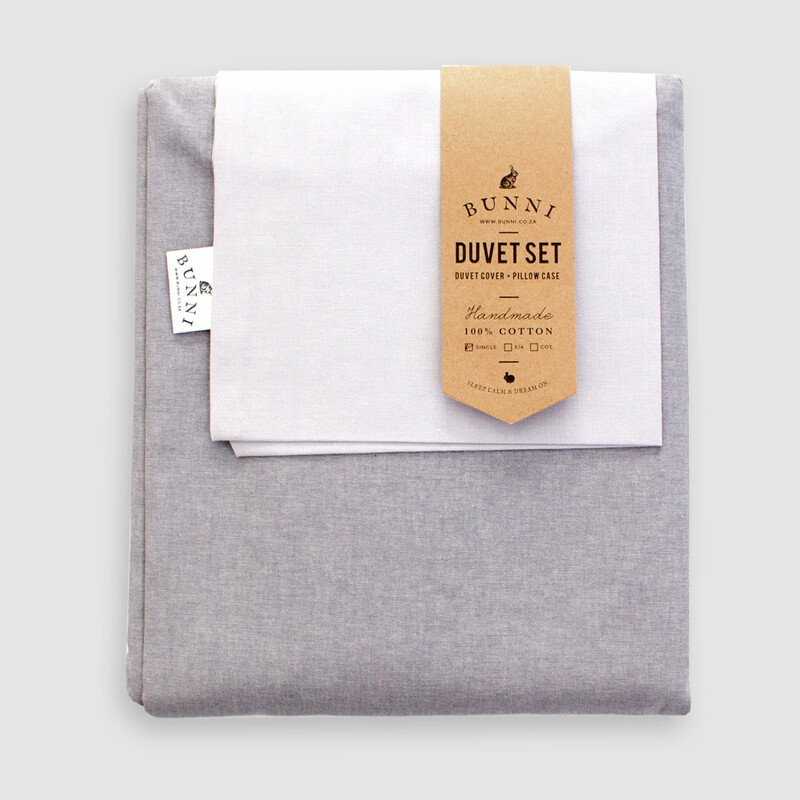 Our Rebel Grey Duvet Set is fully reversible and features cool and soothing tones of grey. No kids room is complete without some fun and funky scatter cushions! Carry the space-theme thread through some more with the machine washable Rocket Scatter by Lorena Canals. 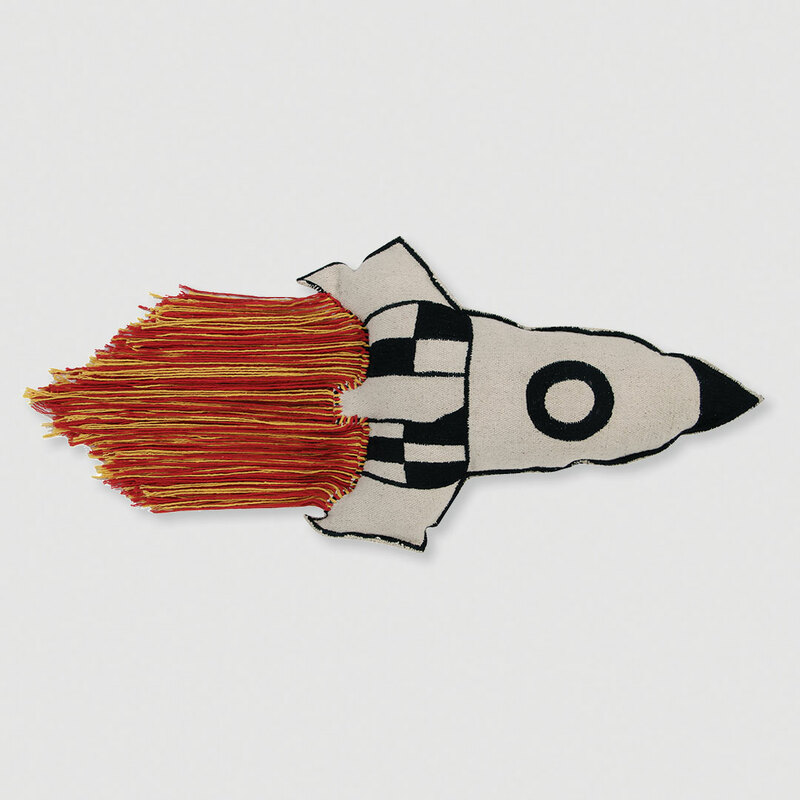 Machine washable Rocket Scatter by Lorena Canals. 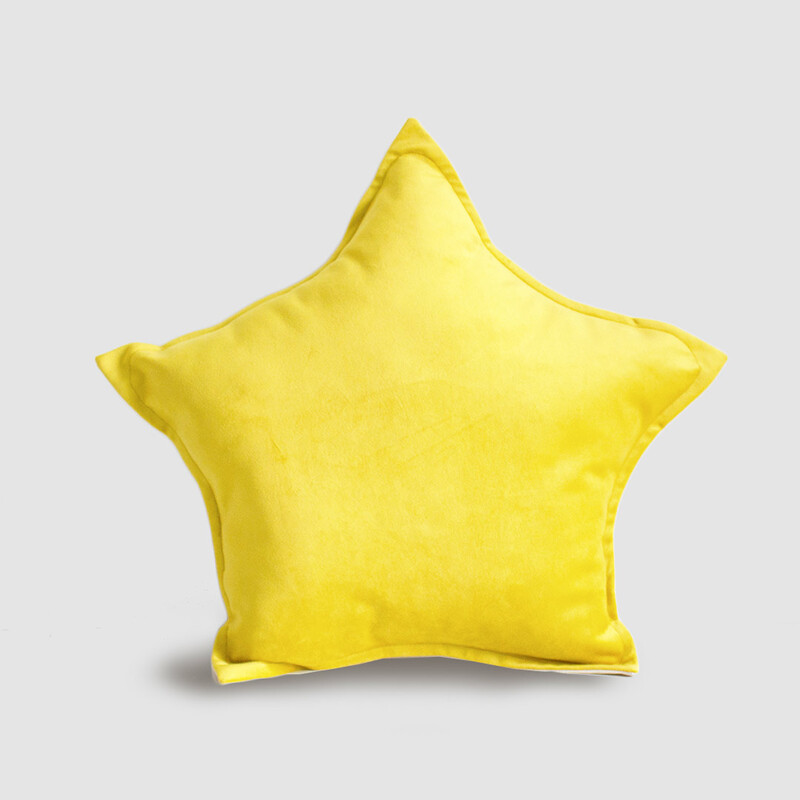 Throw in a striking pop of colour with the cuddly Velvet Star Scatter in Sunshine Gold by Bunni. Every wall needs some adornment! 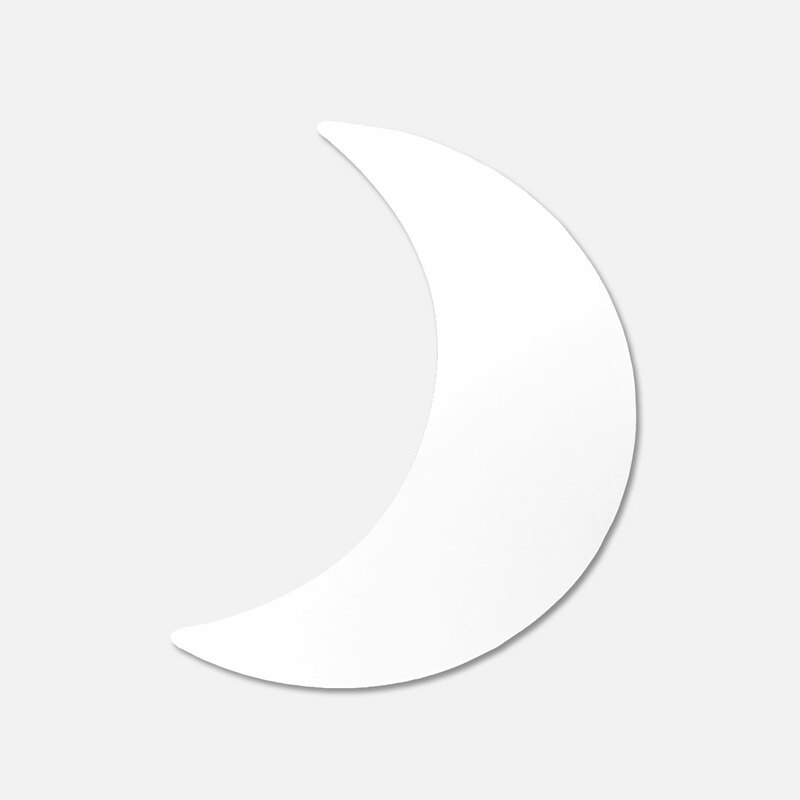 Have your little one feeling starry-eyed over our magical Moon Mirror by Bunni. 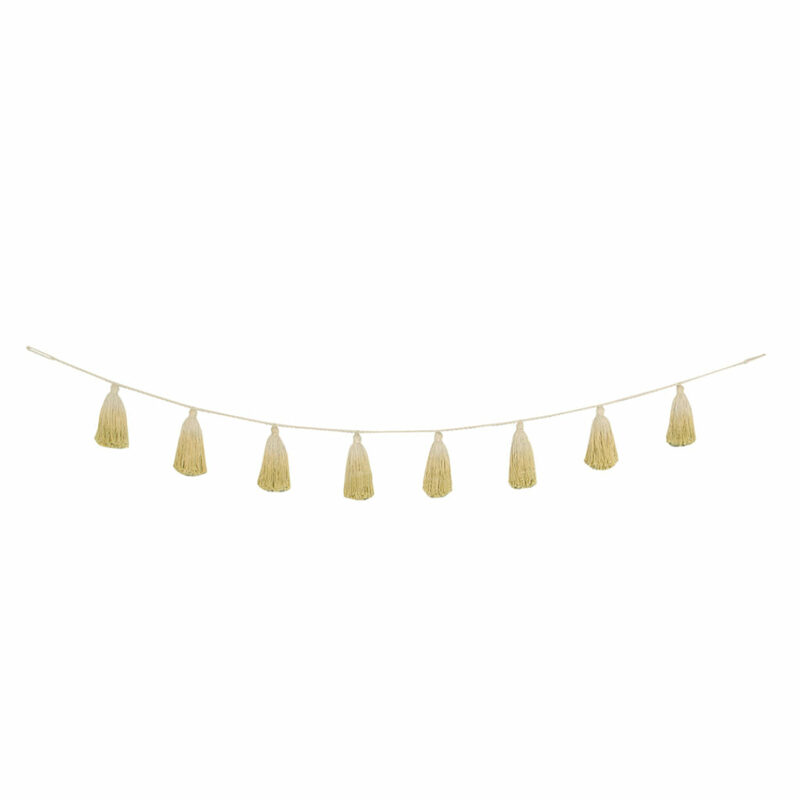 Round off the look and tie your colour palette together with the fun Pom Pom Garland in Yellow by Lorena Canals. Every little person’s room needs a nifty spot to store shoes, toys or books! 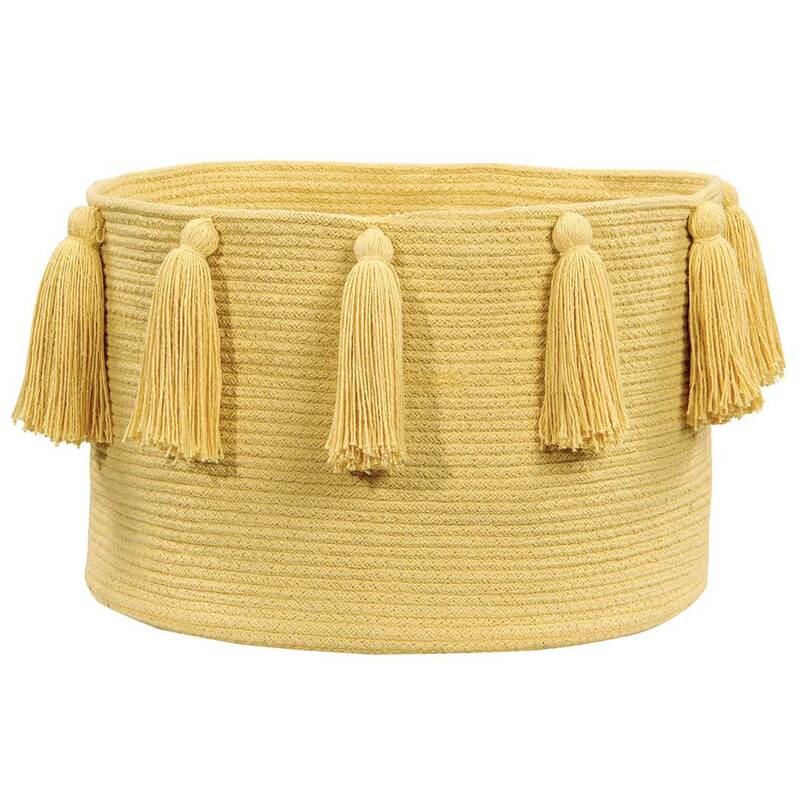 Add this fabulous machine washable Tassel Basket in Yellow by Lorena Canals and you’re good to go! What do you think of this fun, galaxy-inspired look?